Amaze and inspire your family and friends with our tasty home-made style desserts. The smells, texture and flavors of fresh baked perfection are simply minutes way! We help capture the adventure and experience of Europe's best recipes. With only a few basic steps and added ingredients you achieve foodie excellence the whole family will enjoy! 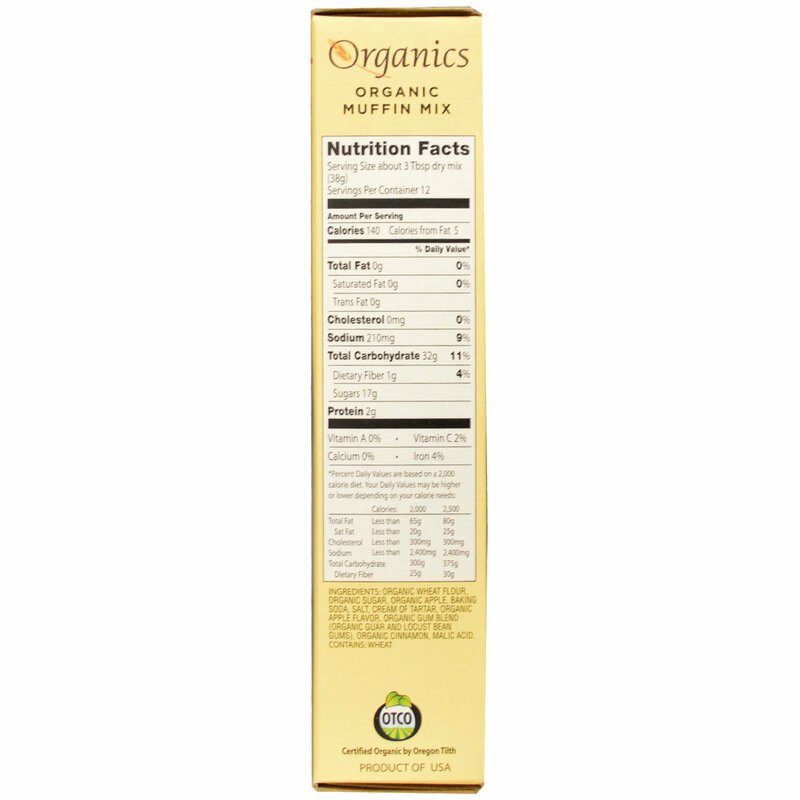 Combine muffin mix, eggs, milk and oil in a mixing bowl. Stir ingredients until well combined. Bake at 350 degrees for 18-22 min. Muffin are done when a toothpick inserted into the center comes out clean. Cool 10 minutes before removing from pan. Enjoy! 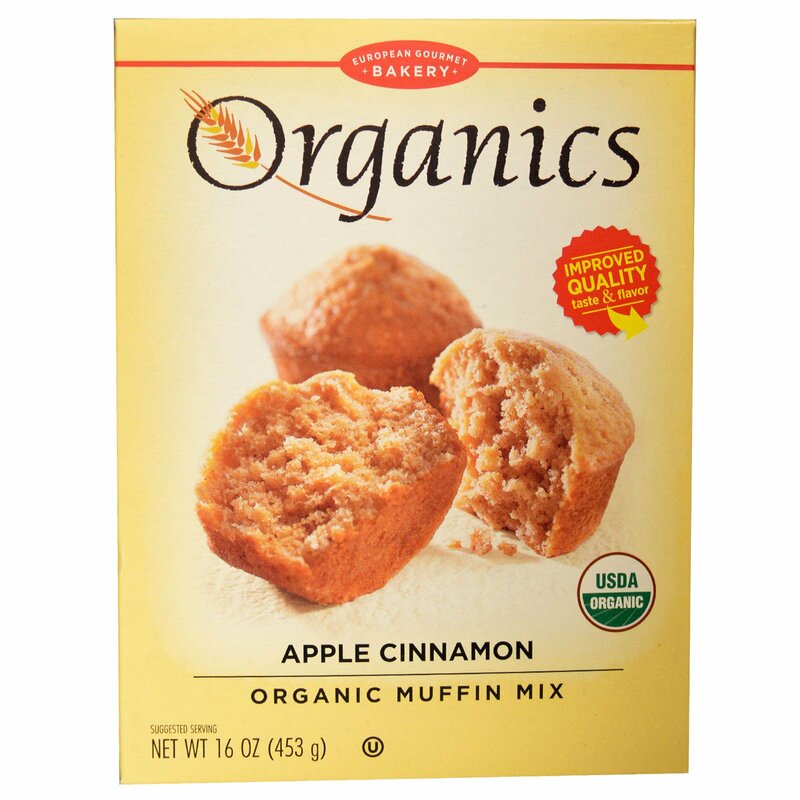 Organic wheat flour, organic sugar, organic apple, baking soda, salt, cream of tartar, organic apple flavor, organic gum blend (organic guar and locust bean gums), organic cinnamon, malic acid.